The gathering is our annual event where the lairds, lords and ladies meet in Glencoe, Scotland. The 2019 Gathering will take place on May 14-16, 2019 at the Isles of Glencoe Hotel, Glencoe, Scotland. Our 7th annual Gathering will begin on Tuesday May 14th 2019 and we have once again extended the event over three days. This will give everyone a better opportunity to meet us properly and find out all about our project. You will also visit the Highland Titles Nature Reserve in Duror with a local guide, so you can find your land whilst you discover Glencoe and its rich heritage. The Gathering will take place from May 14th to 16th, 2019 at the Isles of Glencoe Hotel, Glencoe, Scotland. We have once again booked all the rooms for the 14th and 15th and accommodation and all meals is included in the ticket price. The Agenda for 2018 is available HERE and the activities and events in 2019 will be broadly similar to events in previous years. The 2018 Gathering took place on May 8-10, 2018 at the Isles of Glencoe Hotel, Glencoe, Scotland. Our 6th annual Gathering began on Tuesday May 8th 2018 and extended over three days. This gave everyone a better opportunity to meet us properly and find out all about our project. Attendees visited the Highland Titles Nature Reserve in Duror with a local guide, giving everyone the opportunity to find their land as well as discovering Glencoe and its rich heritage. The 2017 Gathering took place on May 23-25, 2017 at the Isles of Glencoe Hotel, Glencoe, Scotland. 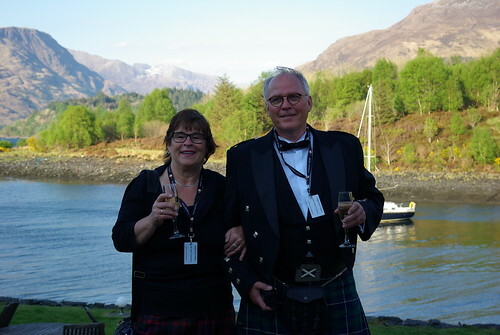 The Gathering took place on May 12-14, 2015 at the Isles of Glencoe Hotel, Glencoe, Scotland. We have found that all the activities will simply not fit into two days, and by starting on Tuesday May 12th 2015, we have extended the event over three days. This will give everyone a better opportunity to meet us properly and find out all about our project. You will also visit the Highland Titles Nature Reserve in Duror with a local guide, so you can find your land whilst you discover Glencoe and its rich heritage. Homecoming took place on May 14-15, 2014 at Glencoe House, Glencoe, Scotland in the year of Homecoming. We enjoyed two days of activities, centred around a day at Glencoe House, once the home of Lord and Lady Strathcona and a day visiting the Highland Titles Nature reserve. In May 2013, Highland Titles held its first Gathering of lairds, at the iconic Glencoe House, home to Lord Strathcona, the “laird” of Glencoe. With guests from all corners of the world as well as dozens of local well-wishers, we numbered about 100 during the day and over 60 lairds and ladies, suitably attired, sat down together in three large dining rooms at Glencoe House to celebrate a vision realised.